Here's a new travel video for you! 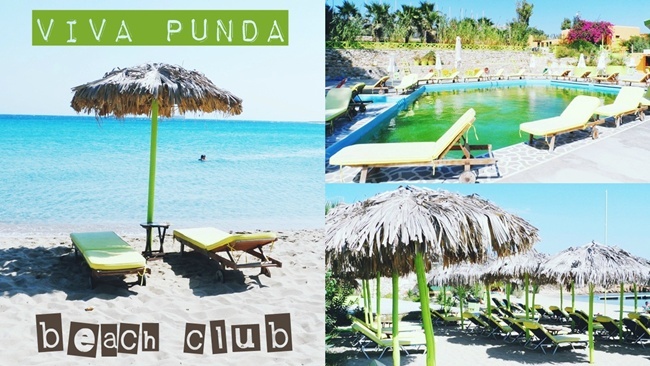 :) Some of you may remember that I already wrote about VIVA PUNDA Summer Beach Club, which is located on the island of Paros! If you haven't, you can read about the club here, and about the beach here! Enjoy the clip, and don't forget to visit my YouTube channel if you want to see more videos from the trips! Evo novog travel snimka za vas!! :) Neki od vas se mozda secaju da sam vec pisala o VIVA PUNDA Summer Beach Club-u koji se nalazi na Paros ostrvu! Ako niste mozete procitati o klubu ovde, a o samoj plazi ovde! Uzivajte u klipu, i ne zaboravite da posetite moj YouTube kanal ako zelite da vidite jos snimaka sa putovanja! wow love this post and i wanna visit viva punda some day! you have impeccable taste! gorg! xO! wow so nice you have impeccable taste! gorg! xO!